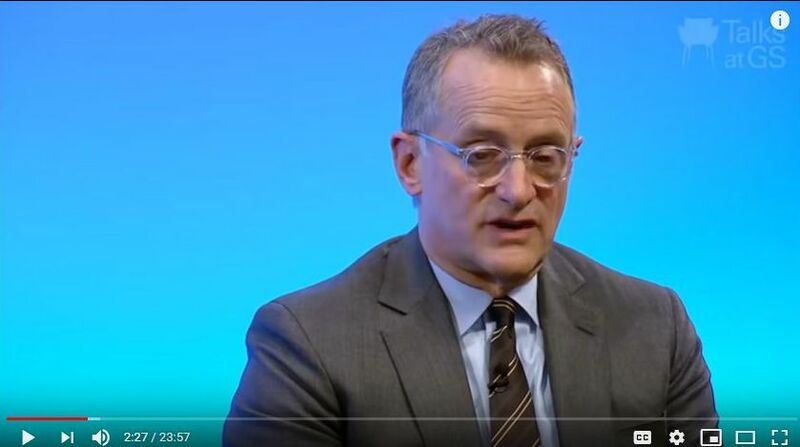 Here’s a great interview with Howard Marks at Goldman Sachs in which Marks discusses why going to cash under almost all circumstances is stupid, and why market timing is impossible. Interviewer: Now that Oaktree is now $120 billion, and I understand not all pools of money are the same, realistically given the size of that tanker how much time would you really need to meaningfully adjust the portfolio? Howard Marks: Well first of all I appreciate your use of the word ‘adjust’ because a lot of people who are less astute than you would say how long would it take to go to cash. And the answer is we don’t go to cash. Going to cash under almost all circumstances is stupid because among other things when you go to cash you have to be right – right away. Because if you go to cash and prices keep going up for a while, as they invariably will, and returns continue to be positive, you fall so bar behind by being in cash that you may even jeopardize your business, stay in business. You’ll certainly jeopardize a lot of your client accounts. You used the term ‘adjust’ portfolios. If you read the book, as I hope you will, you’ll see that we don’t think about when is the turn going to come, or when is the bottom going to come. In fact, ‘when’ is one of the words I reject in our business because we sometimes have an idea what’s going to happen and we never know when. The turns that matter… you see the market is a little bit volatile. I mean the economy is a little bit volatile. Sometimes it’s up three and sometimes it’s up one. Sometimes it’s down one. Company profits are more volatile because companies are leveraged, operating and financial. But market prices do this because they’re driven by people. By people’s emotions. By what we call human nature. So to figure out when things are going to happen you would have to be able to predict emotion, which is impossible. So we don’t ever think about ‘when’ at Oaktree, we think… and one of my mottos is we never know where we’re going but we sure as hell oughta know where we are. What’s going on around us. What does that imply about the future. If we conclude that the present developments justify a more defensive position then there’s no time like the present, so we start. We do what we can and hopefully we do enough before the stuff hits the fan.